Never cook with mountain laurel, it is toxic. Just as schoolchildren must build up their vocabulary before they can advance to the more difficult subjects, so budding plant enthusiasts must learn their plant names before they join the big boys and girls in serious discussions on plants. It's best to focus on the scientific plant names when learning the names of perennials, shrubs, trees, etc. This, even though even those long, imposing, studious-looking Latin monikers occasionally convey misleading information to the unwary beginner, as we mention about false cypress. But, somewhat paradoxically, it's the common names for plants that can be most confusing for beginners, as my examples below will prove. In some cases, beginners are lulled into a false sense of security by the common names (because these monikers use the language of everyday life) and jump to unwarranted conclusions about them. In other cases, mistaken identity results simply from the fact that two plants have names that are similar-sounding. The confusion is not purely an academic matter; it can have practical repercussions, affecting decisions beginners make in plant selection. Likewise, when you're searching for information on the web about plant care, mistaken identity can lead to your providing the right care to the wrong plant. Beautyberry (Callicarpa) and beauty bush (Kolwitzia) are both beautiful shrubs, but that's where the comparison ends. The former is grown for its berries and comes into prominence in autumn. 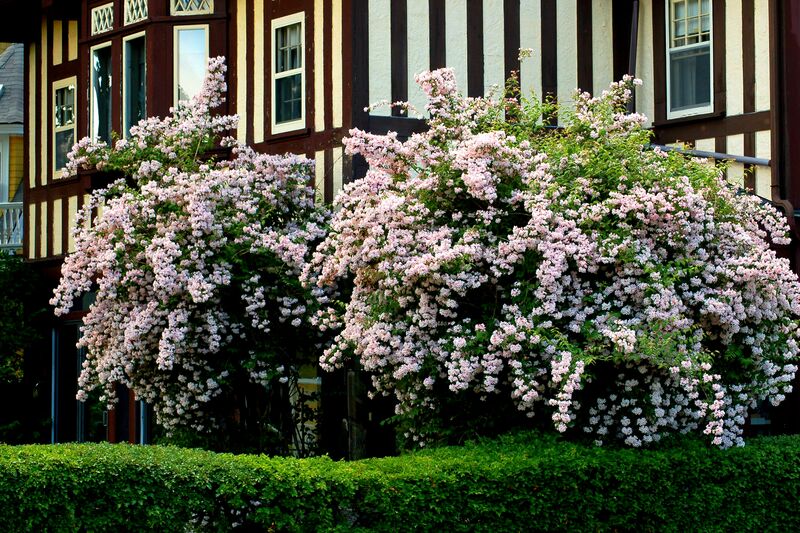 Beauty bush, meanwhile, is valued for the multitude of flowers it bears in late spring and doesn't look like much at all for the rest of the year. When beginners at landscaping hear the "creeper" in Virginia creeper, they may well jump to the conclusion that this vine is a ground hugger. Can you blame them? That's precisely what a creeper is, by definition. But what a mistake it would be to place this vine in a spot suitable only for a tame little ground hugger! Virginia creeper is a robust climber that will seek out the canopies of your trees and invade them mercilessly. "Laurel" signifies bay laurel for many people. It's common knowledge that bay leaves are used in cooking. Do not buy a mountain laurel shrub with the idea that you are going to harvest the leaves for cooking. 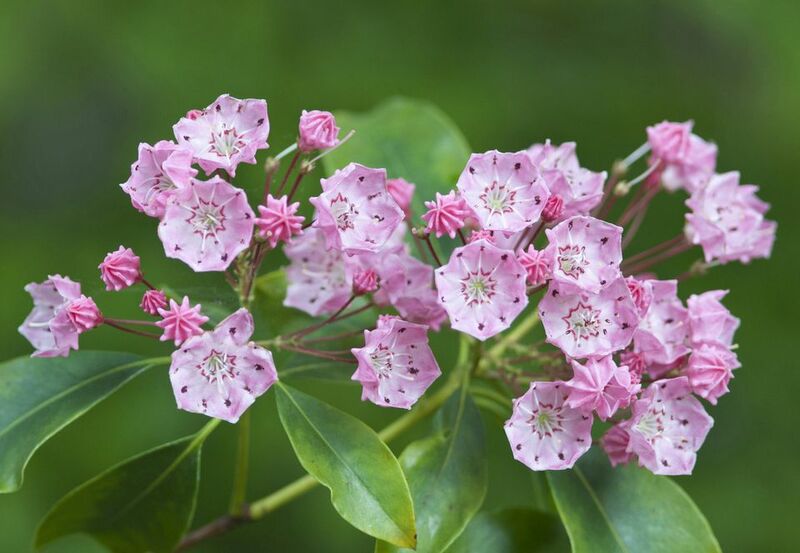 Mountain laurel is a poisonous plant! Do you see why knowing your plant names matters? People commonly misspeak and mention one of these two when they mean the other. To confuse beginners further, neither of these popular plants is a true lily. True lilies have Lilium in their botanical names (specifically, that's the genus name). Calla lily (picture) belongs to the genus, Zantedeschia. That puts it in the arum family and makes it a relative of jack-in-the-pulpit. It is native to southern Africa. Despite having a similar-sounding plant name, it is a very different plant from canna lily. "Canna" serves as both the genus name and a common name. Canna lily is a distant relative of the bird of paradise. It is native to tropical and sub-tropical parts of the Western Hemisphere. Some cannas have colorful leaves as well as beautiful flowers. Both plants grow from bulbs, and neither is hardy in the North. There are specific techniques for how to store canna bulbs for winter that you should investigate. Like canna lily and calla lily, snake lily (Amorphophallus konjac) does not belong to the genus, there's something about hoods that makes people want to attach "lily" to a plant name, because of snake lily, peace lily (Spathiphyllum cochlearispathum), and calla lily all sport hoods in their inflorescences. Golden rain tends to develop a wide canopy, and its flower stems are stiff. Golden chain (picture) tends to grow in a vase shape, and its flower stems droop down, allowing the racemes to hang down à la wisteria blossoms. Don't confuse mountain ash trees (Sorbus americana) with true ashes (genus, Fraxinus). True ashes such as white ash can exhibit marvelous fall color but are not widely sought-after in landscaping. Mountain ash (picture), with its bunches of bright orange berries, is more popular among homeowners. As with "lily" (see above), not all specimens with "rose" in their plant names are true roses (i.e., members of the genus, Rosa). Japanese rose (Kerria) has little in common with the classic rose bush. It lacks thorns (which is a good thing), but it also lacks fragrance (not a good thing). Red flowering thyme is a useful plant. It's a short groundcover that fills in nicely and smells nice when you walk on it. But don't buy it based on that "red" in its name. As you can see from my photo, the flowers are lavender-pink, not red. Many people try to get rid of the clover in their lawns. They consider it a lawn weed. We're fine with having some clover in our lawn. If you agree with me, you might want to learn more about the different kinds of clover. In your research, don't be fooled by the name "red clover." Like the blooms on red creeping thyme (see above), red clover flowers are pink. Will You Be Pulling Out Bittersweet This Fall or Admiring It? Want a Tip for Learning All Those Funny Latin Plant Names? Is She Named After a Flower? Which Plants Put Your Dog at Risk?